Born August 12th 1823, John C. Stephenson was from a proud American family. In 1780, his grandfather fought in the Battle at King’s Mountain in South Carolina when he was only fifteen years old. The battle is considered by many to have been the turning point of the Revolution. His father came from Carolina to Mt. Hope, Alabama and that’s where John Calvin was born and raised. He graduated in 1851 from La Grange College(now called North Alabama University) and was hired as professor there until the college closed due to the Civil War. 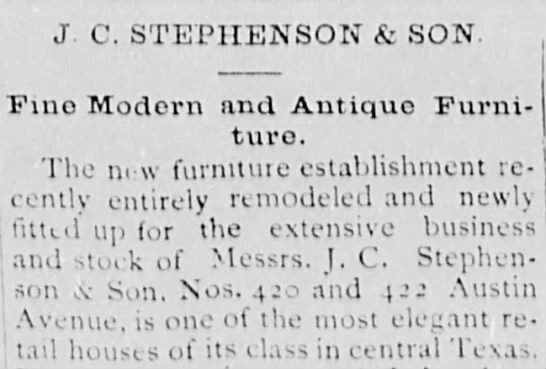 Stephenson came to Waco in 1870 and opened his furniture store at 69 Austin Street where it remained until he expanded in the 1880s. 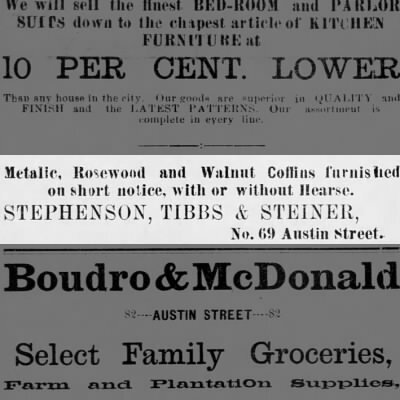 In 1887, the Waco Daily Examine ran an article expressing surprise at the efficiency and skill of Stephenson’s undertaking firm after it had produced an unusually large coffin for a Wacoan at a very fast rate. His business performed undertaking services and also sold high-end furniture, both new and antique. It was located at 420 and 422 Austin Avenue with a total space of 10,000 square feet. 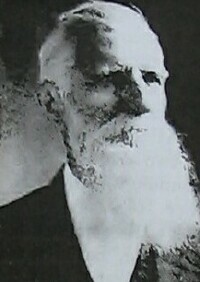 J.C. Stephenson was buried in Oakwood Cemetery in 1909.